Three Fingered Jack has the distinction of being the smallest of all the alpine summits in the Oregon Cascades. This jagged peak is notorious for “the crawl” – an exposed fifth-class traverse that represents the beginning of the technical climbing several hundred feet from the summit. After that, the route climbs through a cobblestone chimney, and up a ridge to the summit. Touching this summit is a proud acheivement! The approach follows the Pacific Crest Trail for five miles before breaking on to climbers trails towards the peak. The first roped climbing usually begins at “the crawl” – a steep exposed traverse that is breath-taking. From there, we walk along an exposed ridge for several minutes to reach the summit pinnacle. The cobblestone pitches lead to the summit. It is 2-4 hours, round trip from the beginning of the technical climbing. We are able to schedule this climb Monday through Thursday only, because of limitations on all commercial permits in the Dechutes-Willamette National Forest. Don't know What to Sign Up for? "Ben from Smith Rock Climbing is awesome. Was impressed at how great he was with our kids, creating an amazing first climbing experience for them." "We did a family climbing trip to Smith Rock State Park with this outfit and had a fantastic time. Aaron was our guide and was incredibly patient, encouraging, and skilled with us and our three kids ages 12, 10, & 8. All the equipment was provided and we felt very safe. It was a very positive experience for us and we enjoyed a great day at the crags. Don't miss a chance to climb this spectacular park. Well worth it !" "I have climbed twice with them at Smith Rock, and both times have been outstanding. Cliff is a great guide and a blast to spend a day with. I highly recommend them to anyone looking to climb out there, or on Hood." Prior multipitch rock climbing experience is recommended, or join us in the 2-day alpine rock climbing course. A 50% deposit is required to hold a spot for you on one of our trips. Full payment is due 60 days prior to the first day of your trip. If you sign up for a trip that starts within 60 days, full payment is due at that time. We accept Visa/ MasterCard. We do not accept checks or money orders. If you plan to schedule a private group climb, the Group Leader will be responsible for all deposits and payments for the entire group. Each individual must still complete our Registration Form. Also, we require all underage climbers (under 16 years) to join us in a private setting. 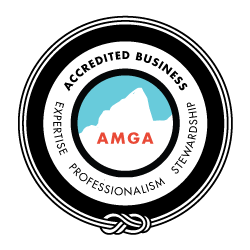 Timberline Mountain Guides, Inc. /Smith Rock Climbing School reserves the right to cancel a trip due to lack of sign ups, or other factors beyond our control. In this case, you will have the option of receiving a refund or rescheduling for a later date. Timberline Mountain Guides, Inc is not responsible for additional expenses incurred including non-refundable airline tickets, equipment, lodging and other travel related expenses. If you cancel for any reason, prior to 30 days before your trip, we will happily give you a refund or you can reschedule for a later date. If you cancel less than 30 days, but more than 7 days, before your trip, a credit will be issued but no refund is available. Credits are valid until the end of the following year. Date changes and cancellations must be submitted in writing. Date changes made less than 30 days before your trip will be charged a $35 per person administrative fee. No date changes or cancellations can be made within 7 days of the start of the trip, and no credit or refund will be available. All credits are valid until the last day of the following year. Rescheduled programs must occur within the valid credit period. Due to the above policies, we recommend that you purchase travel insurance from a travel agent. Once you meet your guide, if the activities are cut short due to weather, there is no refund available. Rock Climbing can be a physically challenging activity. We will choose climbing routes that are suitable to your fitness level and experience. As you develop skill, you may climb routes of increasing difficulty. In the meantime, to prepare for the best climbing experience we recommend focusing on overall fitness. Activites like running, swimming, yoga and weightlifting can help you build general strength and stamina, as well as balance and the mental fortitude to push through difficulties. First and foremost, it is imperative that you inform your guide of all your medical history and current physical condition. This information helps your guide to make informed decisions about your program, and in the event of an emergency, potentially life-saving decisions. Our programs operate in remote locations where advanced medical care and evacuation may not be available for hours. If you have any long-term side-effects from past injuries or illness please include these in your medical history. Any current injuries or conditions that could impact your performance should be disclosed, as well as a list of all medications that you are taking. Any asthma or allergies to food, animals or the environment should be included in your form. Though it is relatively uncommon to have rain at Smith Rock, we do experience all types of weather during our rock climbing trips. We can usually wait out the short squalls that are characteristic of Spring in the High Desert. In the rare event that we will be unable to climb due to inclement weather your guide will contact you directly to discuss your options. Climbing is a dangerous activity. While our job is to guide you through the technical activities, our guides cannot completely shield you from every possible hazard. Each person who enters a natural area like Smith Rock or the other locations that we guide must recognize that there are inherent hazards. Not all of those hazards can be mitigated or avoided in the course of rock climbing. Some hazards may be unobvious. Climbing is a fun sport that challenges the mind and body. It also has the potential to injure and kill. Therefore every participant should take personal responsibility for looking out for the well-being of the entire group, and exercising care throughout the climb.